MUMBAI: TV Noise made a big splash recently with their huge 808 track for STMPD RCRDS, so it was only right that they got invited back to supply another anthem to keep the dance floors rocking this summer. Weird makes for an immense follow-up. This slamming track centers around a commanding hip-hop vocal that positively jumps out of the speakers. The throbbing bass kicks offer more of that flavour as the track builds, only to hit us hard with rowdy bass house sounds upon the drop. The arrangement is deceptively sparse, with just a few choice elements honed to perfection to create a seriously full-sounding, heavy-hitting track. This summer is looking massive for TV Noise, with their sets alongside Martin Garrix at Ushuaïa Ibiza on 5 July and at Tomorrowland on the STMPD stage at the end of July. They have also confirmed their own Tuesday night residency across July and August at the mighty BCM Mallorca, named one of the top clubs in the world by DJ Mag. They also recently played Ultra Korea too much acclaim. In short, they are destined for big things indeed. 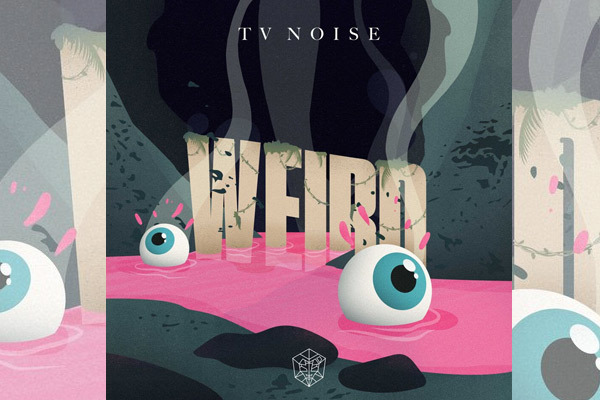 TV Noise Weird is released on STMPD RCRDS on 29 June.